To date, scientists have catalogued more than 3,500 exoplanets, some of which may even be capable of fostering life. But we simply don’t know. The ability to detect life on distant worlds still eludes us, but a new project coordinated by NASA now takes us a significant step closer to achieving that goal. Six new papers published in the science journal Astrobiology are providing a launching point for scientists on the hunt for signs of life on planets outside our Solar System. The new papers outline various ways in which extraterrestrial “biosignatures” could be detected using current and future technologies, and what scientists should be looking for in the data. Encouragingly, the scientists say it’s entirely possible that we’ll detect atmospheric biosignatures of potentially habitable planets by the year 2030, while cautioning that definitive proof of alien life will likely only come later, after more rigorous analysis and more powerful telescopic techniques. This project, called Nexus for Exoplanet Systems Science, or NExSS, is the culmination of two years of work, and it began with online discussions and a workshop held in Seattle in July 2016. NExSS is coordinated by NASA, but it’s global in reach, involving scientists from the University of Washington, the University of California-Riverside, the Tokyo Institute of Technology, the University of Glasgow, and many other institutions. The project is rooted in astrobiology, but it involves an impressive cast of interdisciplinary experts, including planetary scientists, Earth scientists, heliophysicists (who study of the effects of stars on their planetary systems), astrophysicists, chemists, and biologists. Indeed, if we’re ever going to find life on other planets, it’s going to take a village. Artist’s conception of Kepler-62f, a small exoplanet located within a habitable zone. The point of the project and the six new papers is to provide a comprehensive overview of what we know so far about life and how it gets started in the Universe, as well as how we might be able to detect biosignatures from Earth using current and future technologies. The researchers argue that an integrated, multidisciplinary approach is required, along with open-mindedness to a variety of ideas and perspectives. Because of the distances involved, however, and considering the limited state of our telescopic technologies, these biosignatures will have to be quite conspicuous. In the first paper, lead author Nancy Kiang from NASA’s Goddard Institute for Space Studies (GISS) and colleagues consider the types of biosignatures scientists should be looking for. A key conclusion of the paper is the recognition of two major signal types—atmospheric gases that are produced by life (e.g. oxygen that’s produced by plants or photosynthetic microbes), or light reflected by life (e.g. the color of leaves or pigments). The second paper, led by Meadows, is a discussion of possible false positives and false negatives, and the various ways in which astrobiologists might be fooled into thinking they’ve detected a planet with a discernible biosignature, or vice versa. Accordingly, the paper considers ways in which a planet could produce a biosignature like oxygen without the presence of life, and how planets with life might produce biosignatures far removed from what we witness here on Earth. The third paper, led by Edward W. Schwieterman from the Department of Earth Sciences at the University of California, Riverside, considers what we’ve learned about our own planet and how life emerged on Earth, and how these and related processes might exist elsewhere. 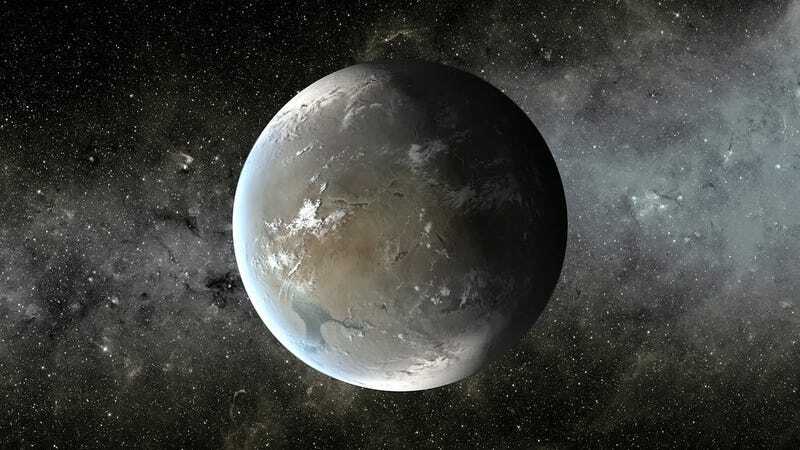 In the fourth paper, University of Washington astronomer David C. Catling and colleagues provide a framework for evaluating exoplanetary biosignatures, including variables like chemicals in the planet’s atmosphere, the presence of oceans and continents, and a planet’s overall climate. The authors also provide a systematic way of assessing a potential biosignature, allowing researchers to assign confidence levels for a planet to host life, from “very likely” (90 to 100 percent) to “very unlikely (&gt;10 percent). The fifth and sixth papers evaluate our current observational prospects, while proposing future directions, such as designing powerful space-based telescopes capable of detecting biosignatures of distant exoplanets.